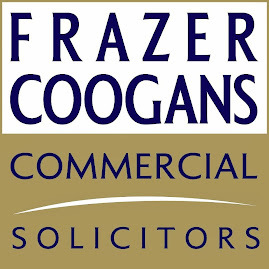 A SOAP BOX Grand Prix will feature as one of the main events during the 23–24 August Bank Holiday Weekend when the National Trust for Scotland’s five-star property Culzean Castle in Ayrshire will host the 1st international heritage vehicle gathering - the Culzean Autoclassica. 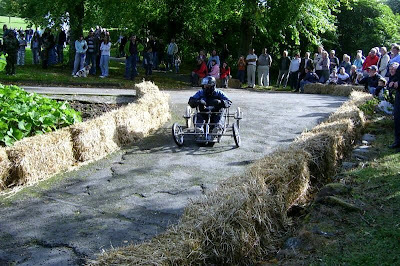 After a successful trial at the Autoclassica launch in September 2007, the Soap Box Grand Prix promises to be a great spectator attraction with trial runs being held on the Saturday and the competition runs on Sunday. Teams will consist of a driver and four mechanics, and the carts, designed and manufactured by several of the attending clubs, will be driven over a specially selected track incorporating a pit stop area within the castle grounds. Destined to become a five-star event, the Autoclassica has been created by Autospirit Ltd in partnership with the National Trust for Scotland and will feature displays from top and significant prestigious marques. Veteran, vintage, historic, classic cars and today’s high performance modern exotic road and racing machines will be represented, and will be joined by product, service providing companies, and associated lifestyle exhibitors - all reflecting the heritage of the motorised vehicle. To celebrate the association with the race days of the 1950s at the disused Turnberry airfield nearby, many of the single vehicle and club entrants will be dressed in the appropriate apparel to reflect the age of their vehicle. For entrants with post-1970’s vehicles they will be asked to arrive in period dress of the 40s to 60s. Visitors to the event are also being invited to join in with the retro theme and help create a surreal spectacle that will be unique to a classic vehicle gathering in Scotland. Entrants and exhibitors already lined up for the event include “The Caledonian Classic & Historic Motor Sports Club” with demonstration runs as part of their Scottish championship weekend events, and “The Sporting Bears,” a UK-wide charity group of motoring enthusiasts who will be hosting a Teddy Bears Picnic. They also hope to allow visitors to experience the thrill of being a passenger in their sports and super cars with a short drive around the estate roads as a mini version of their “Dream Rides” programme. Fashion shows, live jazz and 50s style bands accompanied by appropriately dressed dancers will also entertain visitors relaxing in the castle’s magnificent courtyard. With an international concours d'elegance, driving challenge, auto art display, vehicle sales enclosure, memorabilia auction and auto jumble amongst the many other attractions over the weekend, the Autoclassica promises to be a great day out for all the family.